Students, faculty and staff have no doubt encountered some of the deep potholes that have formed on campus at TAMU-CC. 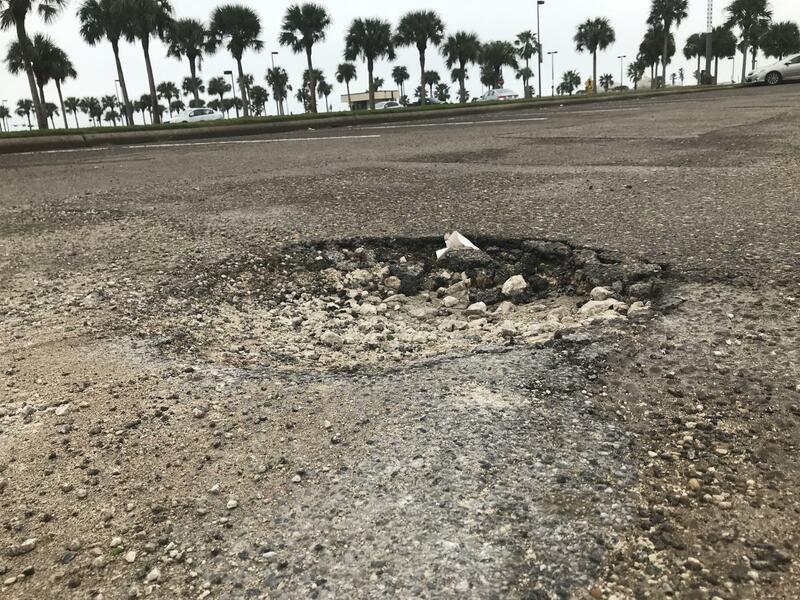 Places such as the Hammerhead parking lot, Sanddollar parking lot, Tarpon parking lot and Seabreeze parking lot have seen a large number of potholes. This is a concern since motorists can cause hundreds of dollars worth of damage to their vehicles by hitting a pothole. 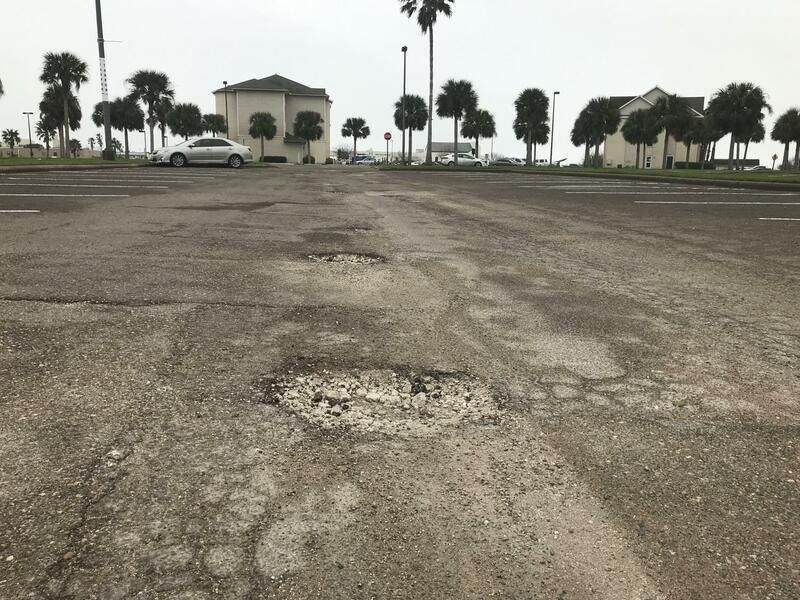 According to Dr. John Dawson, the Associate Vice President of Operations, the university is working to fix the potholes on campus and hopefully ensure no other potholes form. One of the many potholes surrounding the parking lots of TAMUCC. The university is spending about $49,000 dollars on the study to find out why the potholes are occurring to better understand how to patch them. Students are becoming increasingly concerned with the potholes on campus and have been questioning the use of university funding. There’s a reason for that. The funding for the university’s building construction cannot be used for the lots. They are separate funds with the Permanent University Fund accounting for the building budget. The cost of filing a pothole is about $200 for the university. The university will be starting with Tarpon parking lot, Sanddollar parking lot, Wave Crest Drive, Hardhead Lane, Curlew parking lot, Classroom East parking lot and Curlew Drive. Students in the meantime should exercise caution when driving through the lots so as to avoid any costly accidents.